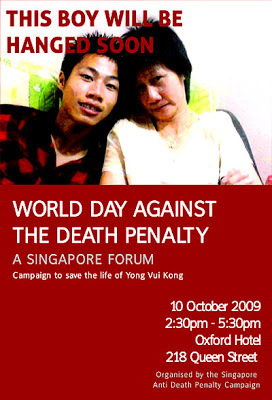 Amnesty International have taken on Yong Vui Kong's case and loads of people have been writing letters to the Singapore president. One commenter at The Online Citizen argued that alcohol and gambling are "legal" - and yet that doesn't stop families from breaking up because of those addictions. I firmly believe that addictions are only symptoms of far deeper unresolved issues that reach back countless millennia and perhaps across many lifetimes. I have never met ANYBODY who didn't at some level require some form of emotional healing. This is where we would do well to focus our attention - not on harsh and punitive legislation that only further disempowers the individual and bestows way too much power to the state. While I am not supporting nor against the death penalty in drug traficking, one must bear in mind that you feel the heat if u eat chillies. This young lad should have known the consequences in dealing with drugs and it's a crime. You pay what you have done and it's unfortunate that he get caught in Singapore where this crime is punishable with death. 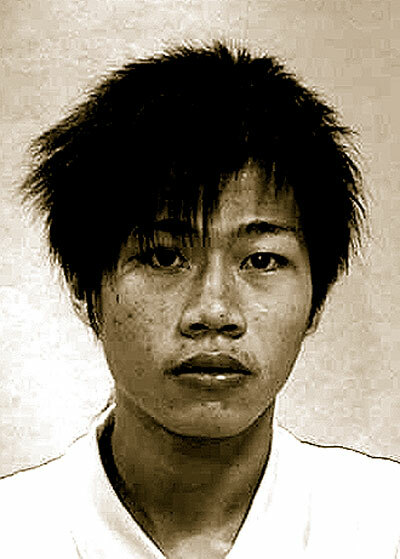 And don't forget that an Australian citizen of Vietnamese origin get caught with the same offence ends his life in the gallows eventhough the Australian Prime Minister personally appealed to Lee Hsien Loong. Thanks for the "One can never be too cynical..." statement; it is a quotable quote.